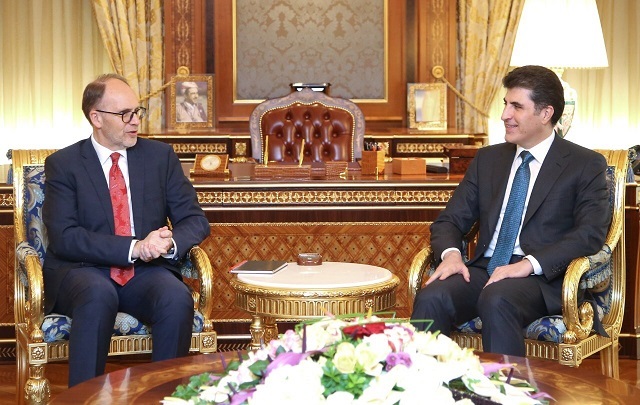 Erbil, Kurdistan Region, Iraq (cabinet.gov.krd) – Kurdistan Regional Government Prime Minister Nechirvan Barzani met with the United States Ambassador to Iraq, Douglas Silliman, and U.S. Consul General in Erbil, Ken Gross. 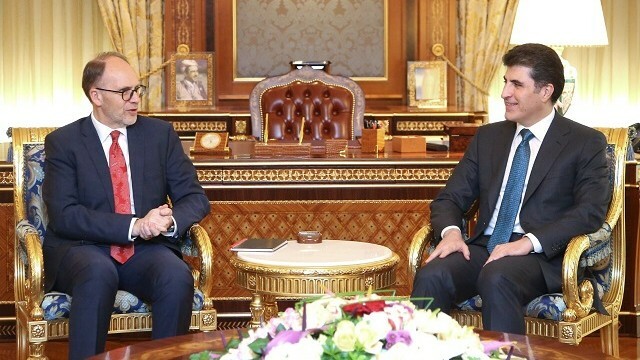 In the meeting, post-referendum developments in the Kurdistan Region, Iraq and the wider region were discussed. Both sides agreed on the need to calm the situation and engage in dialogue to address current contentions between Erbil and Baghdad.